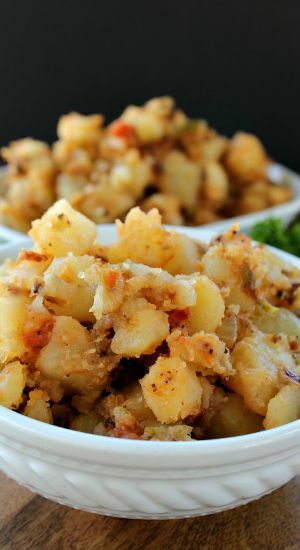 What is breakfast without some delicious potatoes? 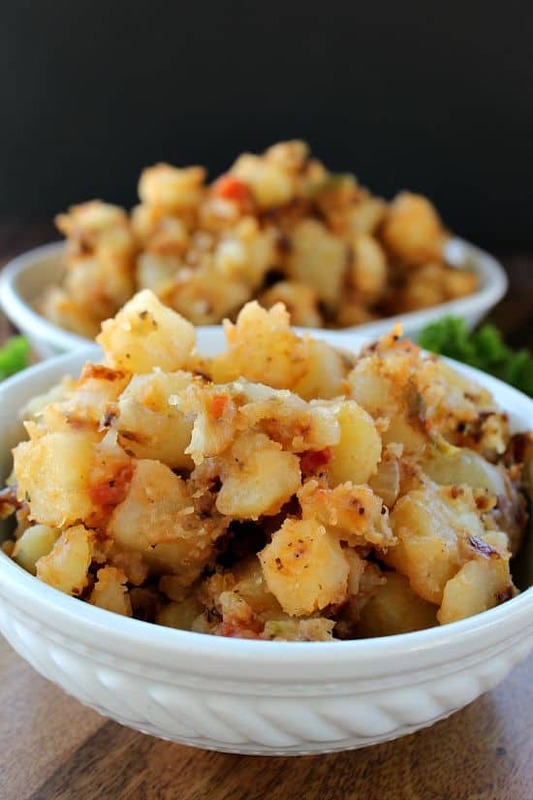 Making a skillet full of spicy home style potatoes just completes your breakfast menu! 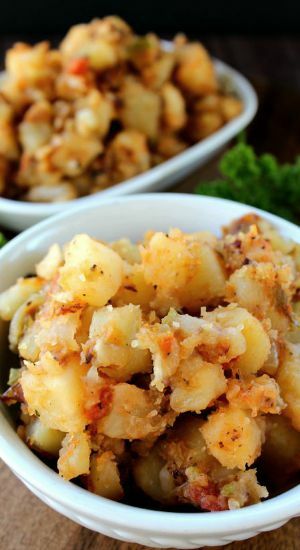 These potatoes might not look amazing, but let me tell ya, they are super DELISH!! 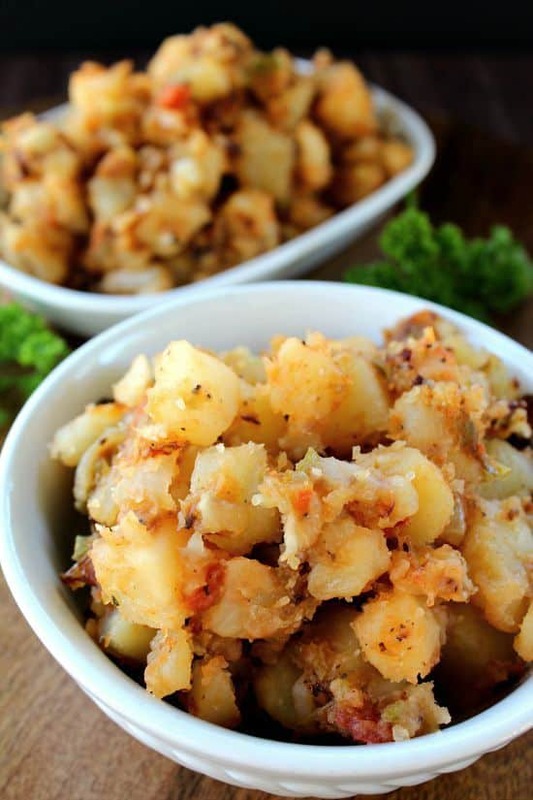 My daughter, Halie, is one who can make some awesome home style potatoes (I made these ones)! We wake up some mornings, and she’s already started with breakfast! What a great daughter! Halie will spend time making sure her potatoes are cut small and precise every time! She does a great job… She is definitely hired!! As I have stated in other recipes, we really enjoy spicy food! If you want these spicy home style potatoes a bit spicier, just add another jalapeño. Make sure to include the seeds. And if you do not want spicy at all, just omit the jalapeño altogether! Add potatoes to a large bowl filled with water (keeps them from turning brown while you peel and dice the rest of the potatoes). In a large frying pan, add oil and heat over medium heat. Drain water from potatoes and return to bowl. Add bell pepper, onion, garlic, jalapeño, cayenne pepper, salt and pepper. Mix well. Gently add some potatoes to oil and cook until crispy and golden brown. Add chopped tomatoes when potatoes are almost done. If you are using a large frying pan, you might be able to cook all of them at once. If not, place cooked potatoes on a plate lined with paper towels and cook the remainder of the potatoes until golden brown and crispy. Cooking time will vary.